Avoid enemies, collect puzzle pieces, and race against time in this explosive action puzzle game. Each of the Short Fused runners have their own unusual and quirky look. 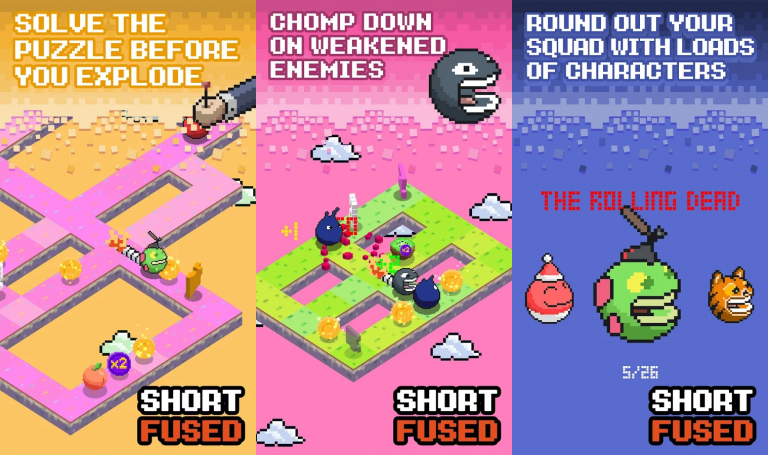 Collect the cast of characters with their unique themes as you conquer your way through the infinite and hectic mazes.